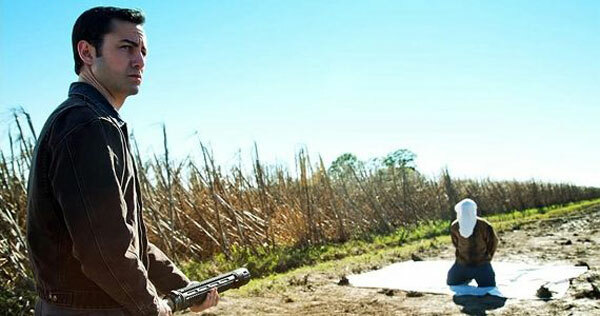 Looper Blu-ray Review Looper, like ‘Moon’ before it, is a fresh and invigorating take on an old Science Fiction trope and manages to craft a story that is captivating, unique and, most importantly, absolutely terrific. It may not exactly be the film that you expected to see going in, but it’s all the more better for its subversion of expectations. Okay, before I delve into this movie I have a confession to make: I’m biased as all hell when it comes to the works of Rian Johnson. His debut film ‘Brick’ - a hyper-kinetic stylisation of film noir tropes transplanted into a high school setting - remains one of my favourite movies of all time and he also directed one of the most visually unique episodes of the superb Breaking Bad, ‘Fly’. I followed Looper’s progress through the various stages of production from the moment it was announced and waited with bated breath for its eventual release. So, obviously this little film has some big shoes to fill in my eyes; was I as enraptured by this as I was with Johnson’s previous body of work or is this the point where the first cracks appear in his seemingly impenetrable oeuvre? In the year 2074 time travel has been invented and subsequently immediately illegalised, leaving the only people with access to this technology those who choose to operate outside of the law. Using time travel as a way of disposing unwanted competition, criminals send their target back thirty years to 2044 where an assassin known as a “Looper” awaits to punch their clock and dispose of the body in an era where the deceased doesn’t yet exist. Seemingly it’s the perfect system and the Loopers are financially well compensated for their work. However there is one major catch: At some point their future selves will be sent back and it’s the Looper’s job to effectively kill themself. Targets are sent back handcuffed, with bags over their faces and a payment of silver bars strapped to their back, so it’s impossible to know who you’re killing until after the deed is done. If the body has gold bars, however, then the Looper knows that their time is up and they have thirty years left to enjoy the spoils of their work. Joseph Gordon-Levitt plays Joe, a highly efficient Looper who seemingly has little concern regarding his future – He knows the conditions that come with the job and the wealthy lifestyle it affords more than compensates for the fact that he’ll eventually murder himself. Everything is thrown into turmoil when a fellow Looper accidently allows his future self to escape; Joe reluctantly gives his friend up to his boss Abe (Jeff Daniels) and sees first-hand the ramifications of not “closing the loop”. Hearing whispers of a future criminal named “The Rainmaker” who is going around and closing all the loops prematurely, Joe suddenly finds himself on the other end of the gun when his own future-self (Bruce Willis) escapes death and goes on the run, determined to locate the child in the present who will eventually become “The Rainmaker” and eradicate him, averting future events. 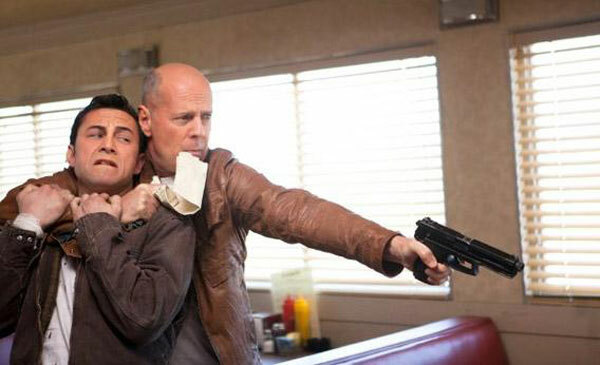 Looper is that rare beast of a film that appeals to both fans of graphic violence and intelligent design, proving that the two aren’t mutually exclusive. Johnson’s direction is as engaging as ever, with the heavy plot exposition necessary to immerse the viewer into the world of Looper guided with a deft hand. The setting of the film isn’t your typical dystopian future; in fact, aside from a few futuristic vehicles and items, the world is instantly familiar, eschewing the alienating bombast of many films from this genre. The violence is confronting at times but serves as an extension of the plot rather than the story accommodating it purely for the sake of appealing to action fans. The plot itself, whilst seemingly straightforward, consistently subverts your expectations; all of a sudden the protagonist you’re rooting for will become the antagonist and the entire tone of the film shifts. Ignoring the obvious prosthetic enhancements to make Gordon-Levitt more closely resemble a young Bruce Willis, particular commendation must go to Gordon-Levitt for the subtle nuances and physical mannerisms that enhance his portrayal; not for one second was I not convinced that they were the same person, at least in a physical sense. Bruce Willis pulls out a performance unrivalled by his recent output, reminding us all that not only is he a great action hero, he can also actually act. Superb supporting turns from Emily Blunt, Jeff Daniels and Noah Segan serve to further immerse you into the world of Looper. Despite the convoluted storyline, Writer/Director Rian Johnson has an engaging directing style that makes the audience feel the story rather than being merely outside observers, making each fresh development easy to digest. 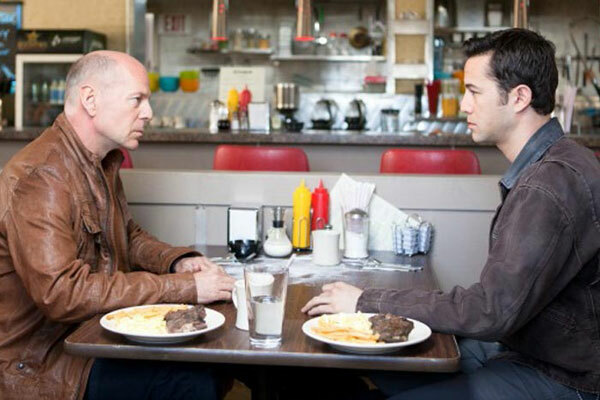 Most importantly, he never bludgeons you over the head with symbolism or detached actions scenes – Each and every single shot in Looper serves a purpose. 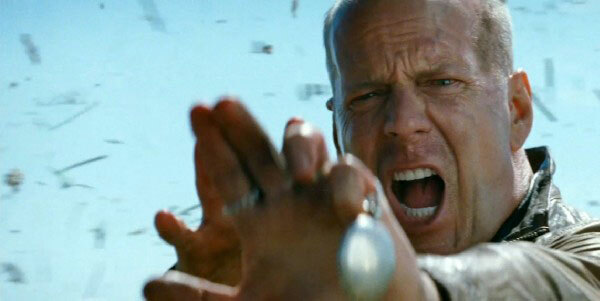 Looper's image quality is up there with the very best. Colours are balanced impeccably, aside from some slightly washed out blacks, and facial textures and other minute details are as clear as you’d expect. There is no evidence of strobing or the presence of visual artefacts and the detail present in the skin textures of the actors has to be seen to be believed. Aesthetically Looper shifts from a neon lit noir setting to a vividly realised countryside and the transfer competently handles everything this visually arresting film throws at it. 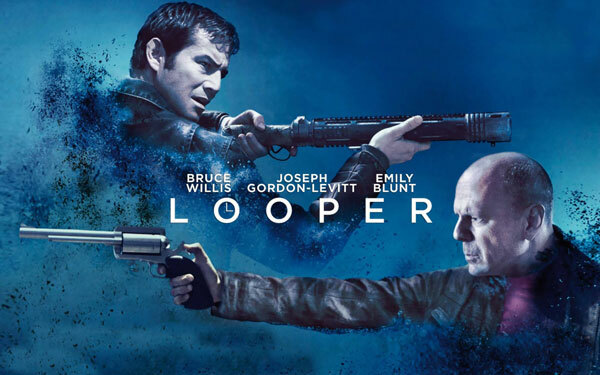 Looper’s DTS-HD 5.1 lossless soundtrack handles the sonic acrobatics of the film convincingly; music and dialogue feel natural and balanced and incidental effects, such as the hum of a hover bike, dance from one speaker to the next in a stunning display of sound engineering. There’s no audible bleed through between channels and the soundtrack is as robust as intended. Put simply this is the finest transfer I’ve encountered this year. 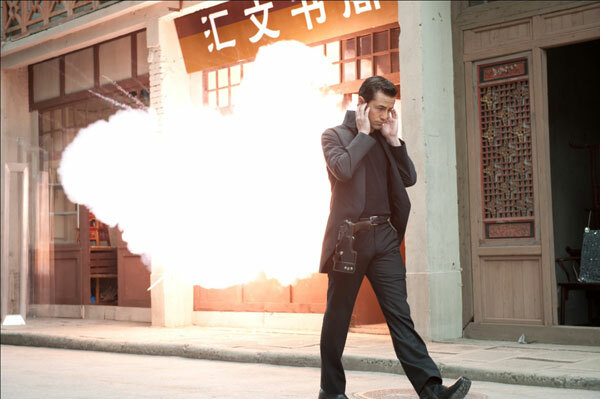 At first glance it appears that Looper has a vast collection of special features, but considering that the featurettes generally run around five minutes long and repeat interview footage, you will burn through them pretty quickly. The collection of featurettes that comprise ‘The Making Of Looper’ are, aside from their brief running time, slightly disappointing in that they amount to nothing more than the usual puff pieces that studios churn out and don’t really delve that deeply into the production process, with the exception of an interesting look at the science behind time travel . 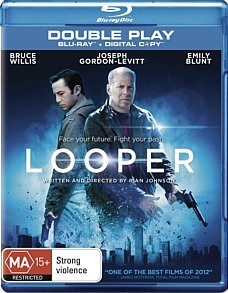 Thankfully to counterbalance this Looper also has over half an hour of of deleted scenes with optional commentary plus a feature commentary with Director Rian Johnson which serves to cover every minute detail associated with the film. It would have been all too easy, especially with such an inventive story device serving as a frame, for Johnson to play the latter part of the film out as an archetypical series of shoot outs and chase scenes until the inevitable confrontation. Instead he uses the twisting storyline to raise interesting questions; not only pertaining to the paradoxes inherent in time travel but also moral and philosophical ones that further feed the rich mythology of the film and leave a lasting impression long after the credits roll. Looper, like ‘Moon’ before it, is a fresh and invigorating take on an old Science Fiction trope and manages to craft a story that is captivating, unique and, most importantly, absolutely terrific. It may not exactly be the film that you expected to see going in, but it’s all the more better for its subversion of expectations.